Essay writing comes in several different forms. Some people write to inform, others write to persuade. In descriptive writing, however, comes a challenge that not everyone can successfully accomplish. For instance, it’s easy to describe an apple as a red fruit. But your readers may want to know exactly how red the apple may be. Is it deep red or vibrant red? Does it have a smooth outer texture? Will it crunch when you first bite into it? Every single detail of a given subject plays a significant role in creating a visual representation for such. Knowing this, it’s important for a writer to consider every single aspect of a subject. In descriptive writing, it’s important for one to stay focused on details. 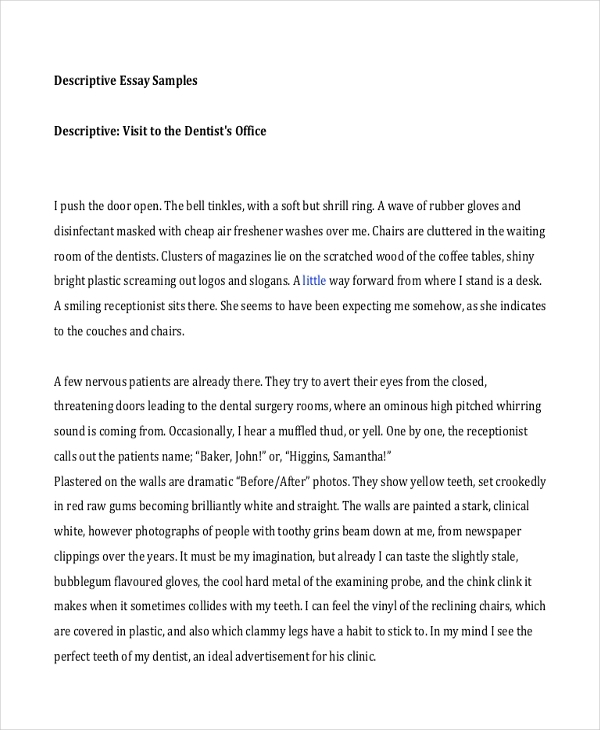 A good descriptive essay comes from a knowledgeable and imaginative mind. Choose a topic. If a topic hasn’t already been provided, choose one that you’re familiar with. Construct your thesis statement. This contains the central message of your essay that gives your readers a brief overview of your work. Gather your ideas. To make it as detailed as possible, focus on the sight, smell, taste, sound, and touch of the given subject. 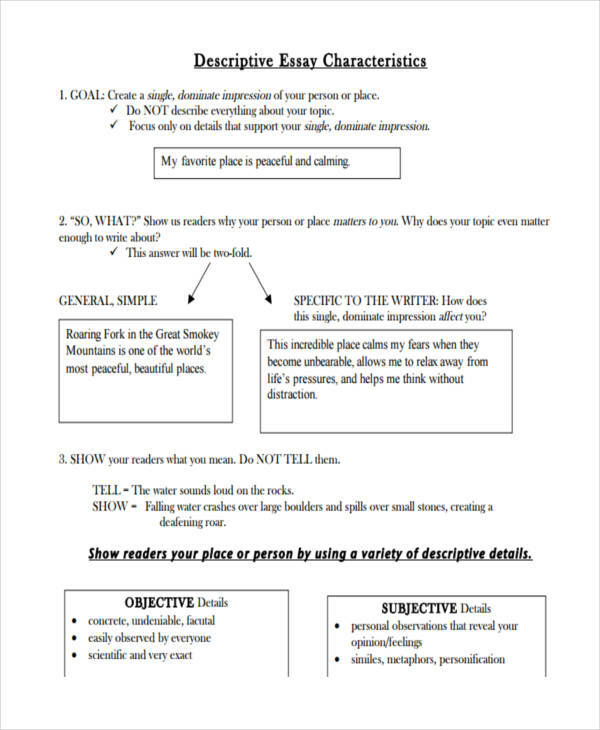 Create an outline. 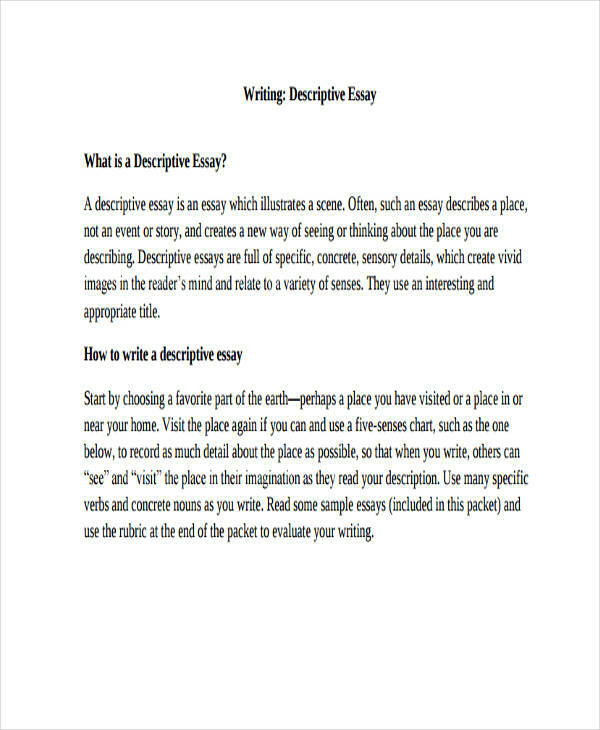 Crafting an essay outline for your work will allow you to emphasize key points and arrange such in a logical order. Review. Read the entire essay and look out for any mistakes. Finalize it. 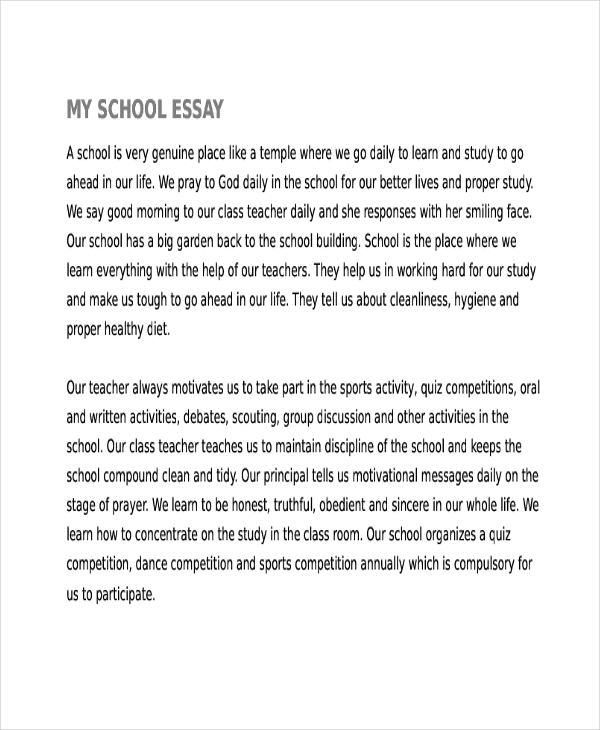 Make sure that your essay follows a specific format, consisting of the proper parts of essay. Some people like to watch movies rather than to read books. This is because an actual image is easier to absorb than that on writing. This is why it’s important for a writer to pay close attention to detail. A descriptive essay conclusions should provide the reader with a mental picture of a given matter. This is especially essential when writing pieces meant for a younger audience, as they have a more imaginative mind than the average adult. A writer must be creative when using imaginative language in order for the reader to properly comprehend what is being portrayed. To do so, the writer should also be knowledgeable of the topic. After all, you don’t want to give your readers the wrong interpretation. Build a connection with your writing. The key to writing a good effective essay is to have the passion to write it. Brainstorm. Look at your topic from different angles. This will allow you to take a closer look at every detail of your subject. Use the word vomit technique. 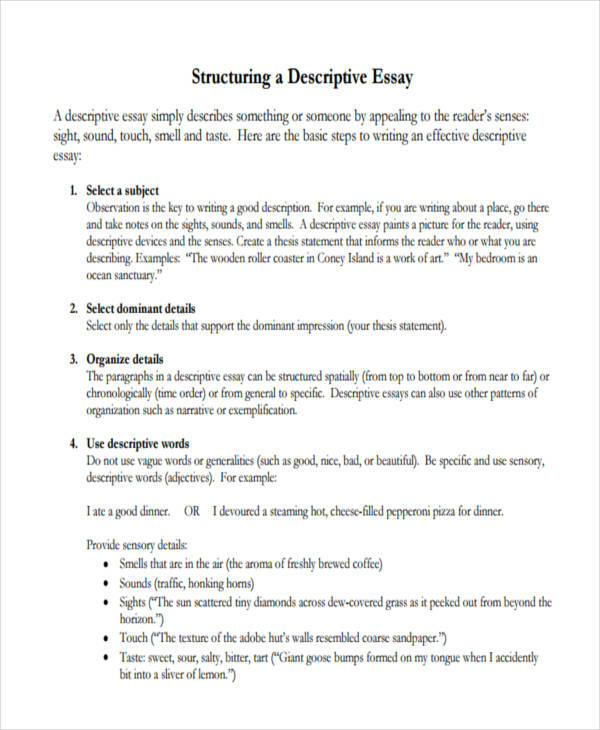 This is a good technique in making a draft of your starting a essay. It allows your ideas to keep flowing without exerting much effort. 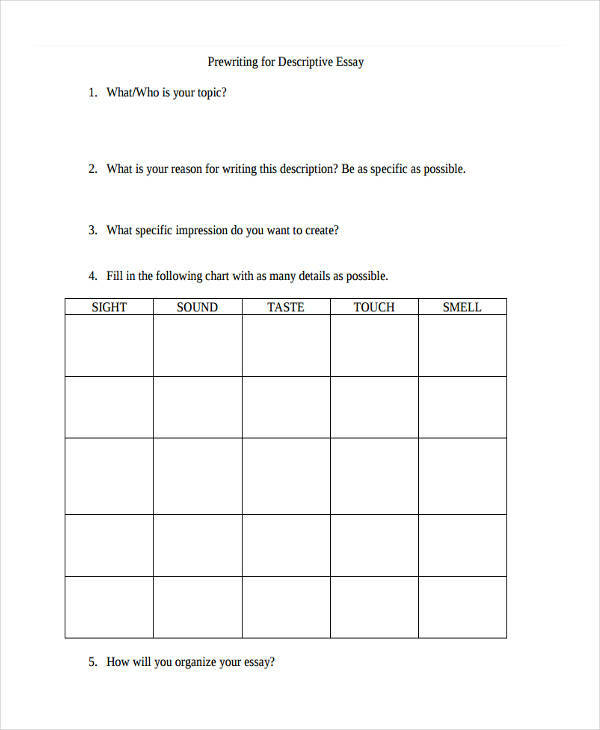 Once this is done, you can pick out points that would go well with your essay. Take a break before finalizing it. Allowing your mind to clear out for awhile will make it easier for you to critic your own work.